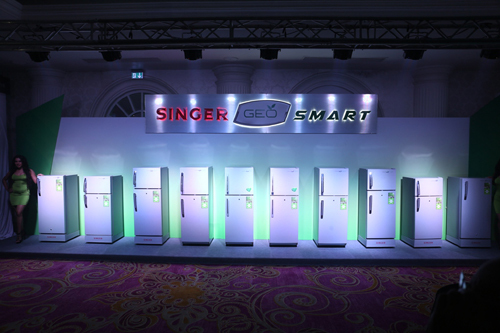 Singer (Sri Lanka) launched the Singer GEO Smart, a technologically advanced upgrade of the Singer GEO refrigerator introduced in 2013. The Singer GEO Smart comes with R600a refrigerant that is 100 percent eco-friendly and provides up to a 50 percent increase in power efficiency. Copper tubing guarantees lifetime durability and low maintenance, while its LED lighting is ultra-bright and long-lasting, and saves energy. Manufactured locally at the Regnis factory, the Singer GEO Smart is available at Singer outlets island wide and comes with a 10 year Singer Warranty for the compressor. It is available in six models that include Inverter, No Frost and Direct Cool options with the largest size being 230L capacity.